When emotions are too raw, flowers become a catalyst for expression. Foster child Victoria, abandoned as an infant, shuttled from foster home to foster home until she is 9 years old. At 9 she becomes the foster daughter of Elizabeth, a grape farmer. Isolated from the world herself, Elizabeth pulls Victoria into her ‘family’ in the hopes of adoption. Flowers and their language is a skill Elizabeth teaches Victoria over the course of the next year. 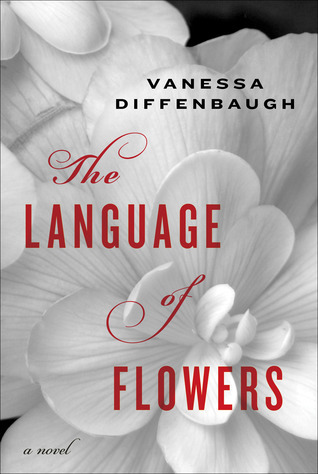 Victoria learns and takes in so much that when she is released from the foster care system at age 18 she eventually finds herself back with flowers, working for a florist named Renata. Excelling in her knowledge of flowers and their expression of emotion, Victoria begins to make a name for herself in the floral world. Victoria continues to struggle with her own sense of belonging and self-worth that follows her in a relationship with Grant. Unable to express herself, Grant and Victoria begin a flower dictionary of expressions. Fears of not knowing how to belong, of feeling inadequate causes Victoria to jeopardize her own happiness. Will she be able to pull out of herself and find the love she deserves? Amazing look into the depth of flowers and a creation of a floral dictionary, detailed with their origin and meanings. I had never given much thought to the depth flowers could express, depth of emotion when our uncertainties make our words unavailable. Great focus on the foster care system and the need for programs to integrate these 18 year olds into adulthood, into a society where they can feel they finally belong. Told with heart and deep emotions, both verbal and through flowers. Vanessa Diffenbaugh was born in San Francisco and raised in Chico, California. After studying creative writing and education at Stanford, she went on to teach art and writing to youth in low-income communities. She and her husband, PK, have three children: Tre’von, eighteen; Chela, four; and Miles, three. Tre’von, a former foster child, is attending New York University on a Gates Millennium Scholarship. Diffenbaugh and her family currently live in Cambridge, Massachusetts, where her husband is studying urban school reform at Harvard. Thanks for the wonderful review of Vanessa's debut novel. I'm glad you enjoyed it. So many reviewers have liked this one. This novel was absolutely wonderful. Beautiful prose, and an equally beautiful story. The central character, Victoria, was abandoned at birth and spent her entire childhood in the foster care system. At the age of 18, she is emancipated and pretty much thrown out into the world, completely unprepared, to make her own way.